Coffee is an instant wake-me-up and helps many of us spring-into-action in the morning. The caffeine in coffee kicks the lazy molecule called adenosine out of your brain, so you feel fresh and alert. 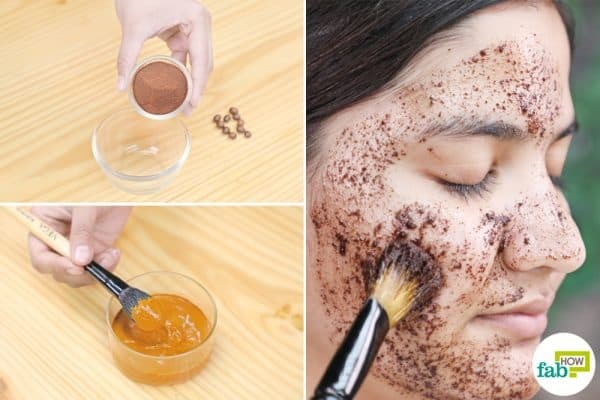 Apparently, coffee not only wakes up your brain but also has the capability to wake up your skin. Coffee is a diuretic, which helps the skin get rid of unnecessary water and toxins. This gives the skin a healthy and toned appearance. 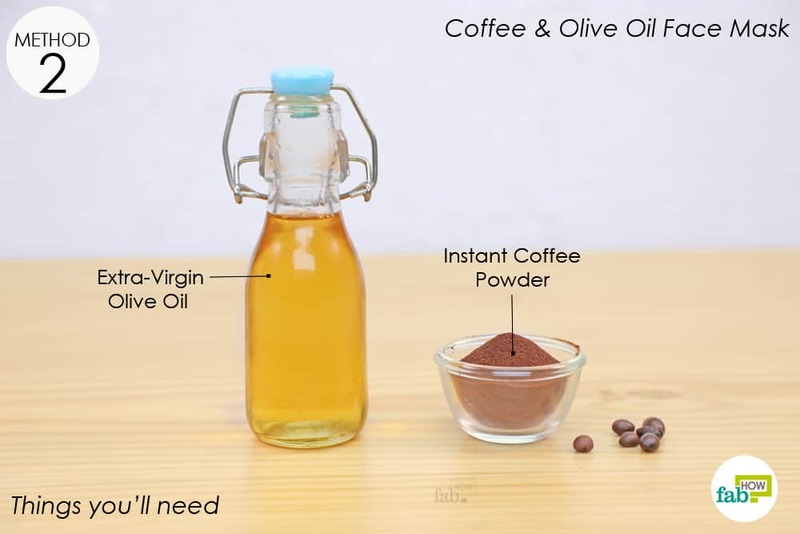 The caffeine improves blood circulation and skin metabolism, which reduces the appearance of cellulite. Plus, it’s an excellent exfoliator, ridding the skin of all the dead skin cells, dirt and other impurities. Listed below are a few of the best DIY coffee face masks that you can make at home using coffee and other common household ingredients. Try them on to make your skin look more beautiful and radiant. 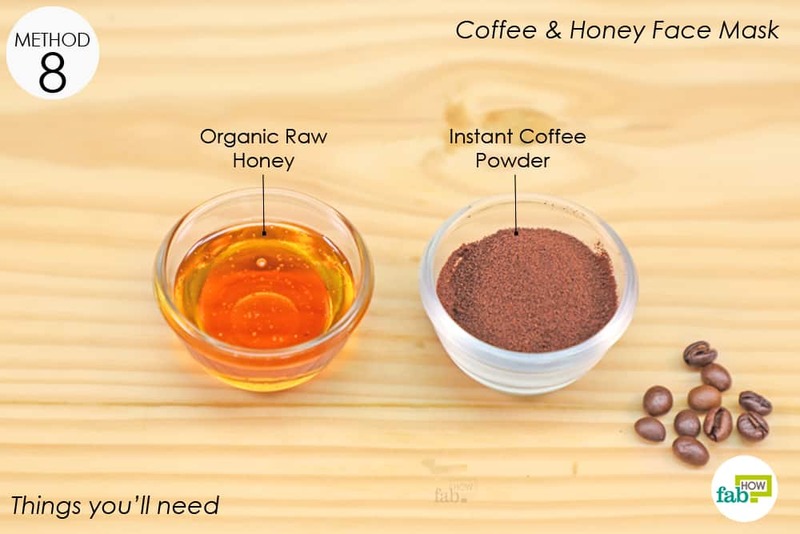 Coffee is an antioxidant and also promotes circulation. It fights skin damage caused by the sun’s harsh ultraviolet (UV) rays too. Coconut oil has antimicrobial and anti-inflammatory properties. 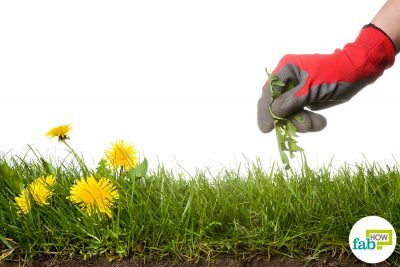 These properties help protect the skin from external pollutants. In addition, it’s extremely moisturizing for the skin, due to the presence of lauric acid, which is a saturated fat. It also repairs the skin and rejuvenates it, giving you glowing skin. 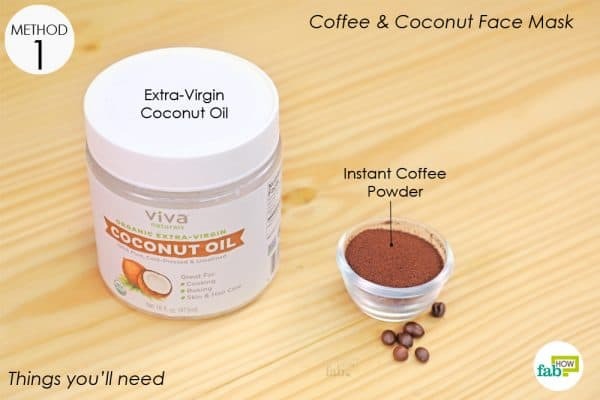 Mix 1 tablespoon each of coffee powder and extra-virgin coconut oil. 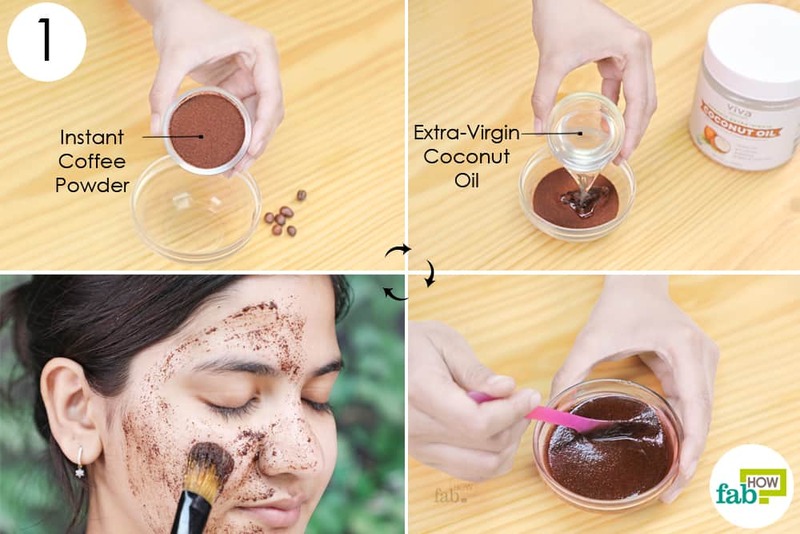 Apply the paste on your face and let it sit for at least 15 minutes. 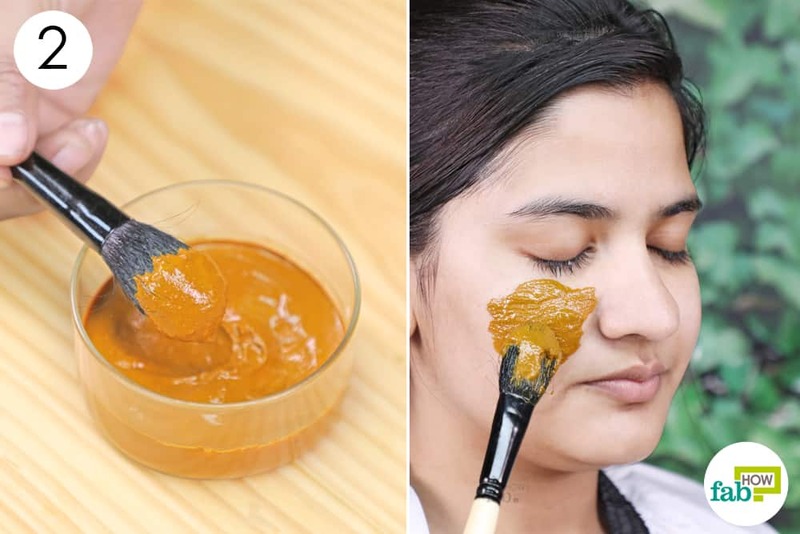 Before washing it off, gently massage the paste on your face. Rinse your face with warm water. Wipe off any excess paste with a paper towel. Use this mask 2 or 3 times a week to give your skin a beautiful glow. Olive oil is known to moisturize the skin from within. It is rich in vitamins A, D, K and E. Vitamin A strengthens the collagen and improves the skin’s elasticity; vitamin D promotes skin cell repair, regrowth, and metabolism; vitamin K fights stretch marks or spider veins on the skin, and vitamin E smoothens the appearance of fine lines on the skin. Coffee constricts the blood vessels removing any puffiness on your face caused by the presence of toxins. Mix 1 tablespoon each of instant coffee powder and extra-virgin olive oil. Leave it on for 5 to 10 minutes and massage gently in upward circular motions. Rinse off with warm water, and wipe away any excess paste with a paper towel. 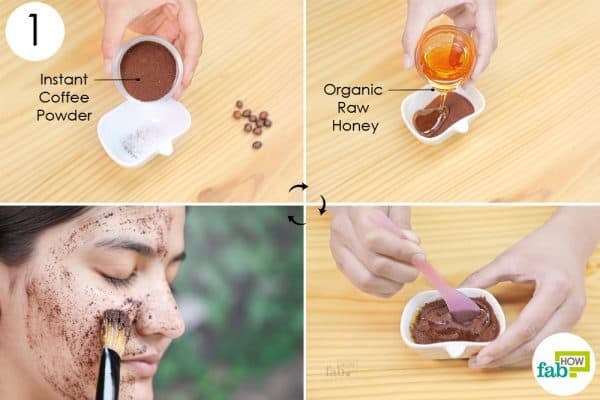 Use this face mask and scrub 2 or 3 times a week to treat dry skin. The surplus oil secreted by the sebaceous glands attract free radicals while clogging the skin pores. Lemon is rich in vitamin C, which strengthens the skin’s elasticity and curbs excess oil production, keeping your skin clean and more balanced. Mix 1 tablespoon of instant coffee powder and enough freshly squeezed lemon juice to make a thick paste. Leave it on for about 30 minutes, then rinse it off with normal water. 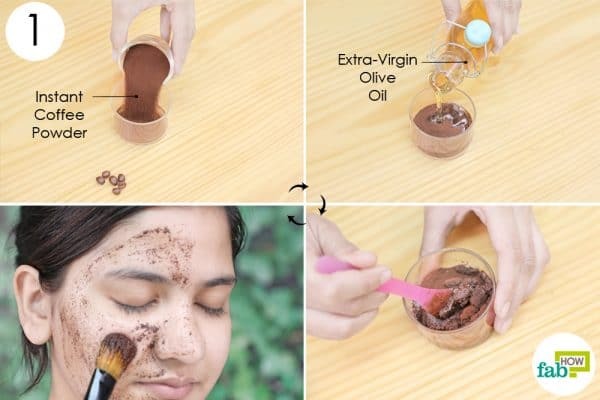 Use this facial mask once a week to manage oily skin. 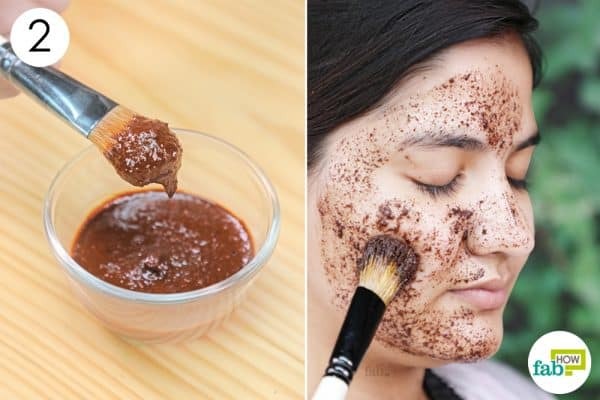 A key component of this DIY coffee face mask is cinnamon which contains cinnamaldehyde and proanthocyanidins and is responsible for preventing clogging of the skin pores while reducing inflammation caused by microbes. Cinnamon also inhibits nitric oxide that causes swelling and inflammation in acne and dries it out almost completely. 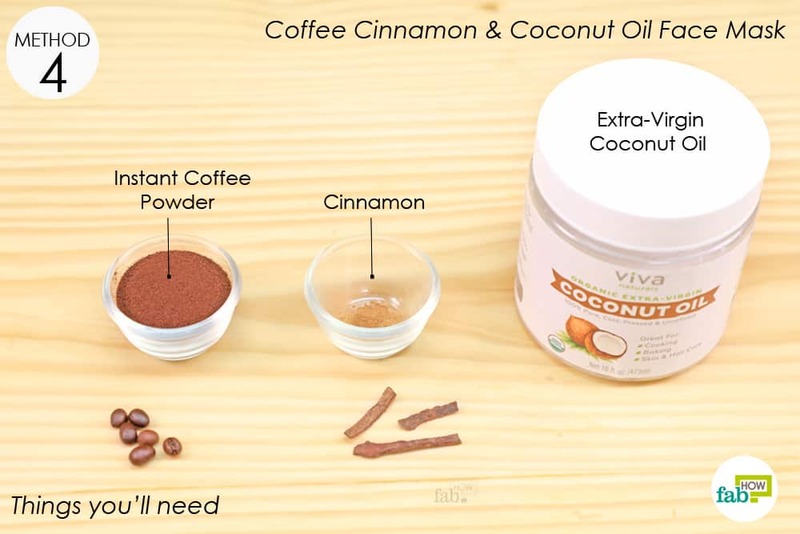 Plus, cinnamon provides a microdermabrasion effect on the skin by sloughing off bacteria and dead skin cells. 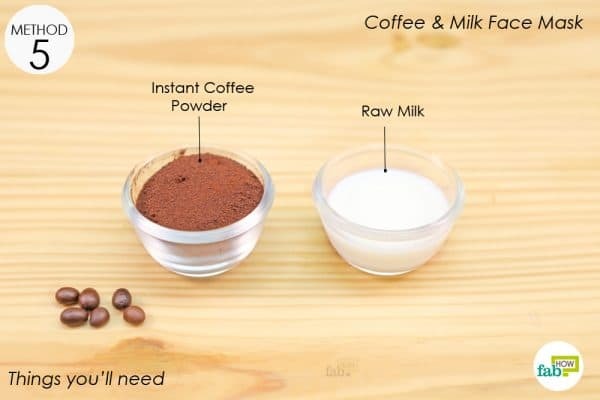 Put 2 tablespoons of instant coffee powder in a bowl. 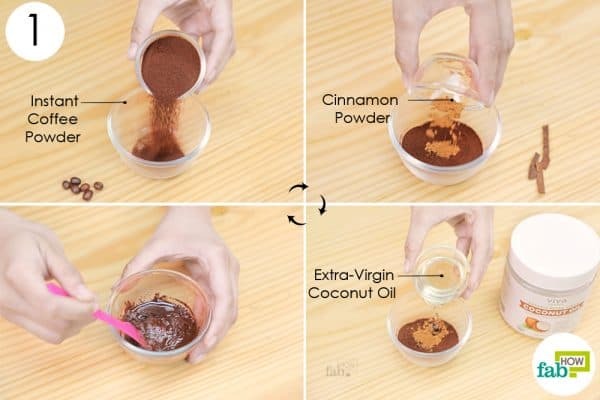 Add a ¼ tablespoon of cinnamon powder. Add enough extra-virgin coconut oil to make a paste. With an applicator brush, apply the paste all over your face and neck. 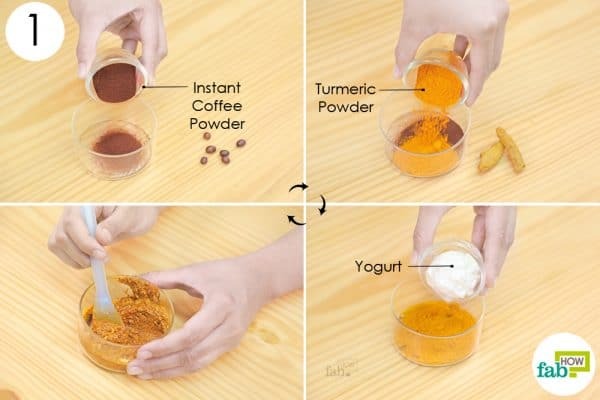 If you have extremely sensitive skin, you might want to try replacing the cinnamon powder with turmeric. Do this twice a week to get clear and acne-free skin. 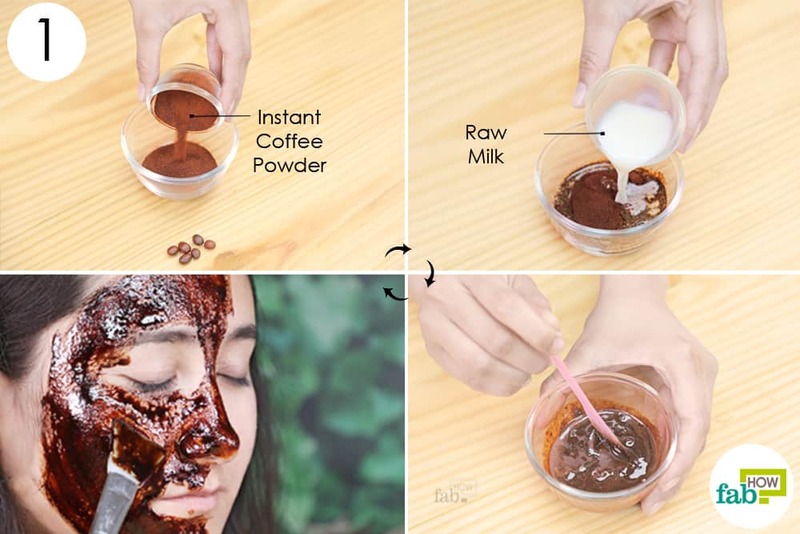 Raw milk used in this DIY coffee face mask cleanses the skin from within, making it look clear and blemish-free. It also hydrates the skin, making it look supple and radiant. Mix 1 tablespoon of instant coffee powder and enough raw milk to get a thick paste. Apply the paste to your face and let it sit for 15 to 20 minutes. Before rinsing it off, dampen the mask a little and massage it on the skin for up to 2 minutes to exfoliate and remove any dead skin. Use this face pack 2 or3 times a week for a smooth, supple and blemish-free skin. Turmeric has anti-inflammatory properties that help soothe the skin. 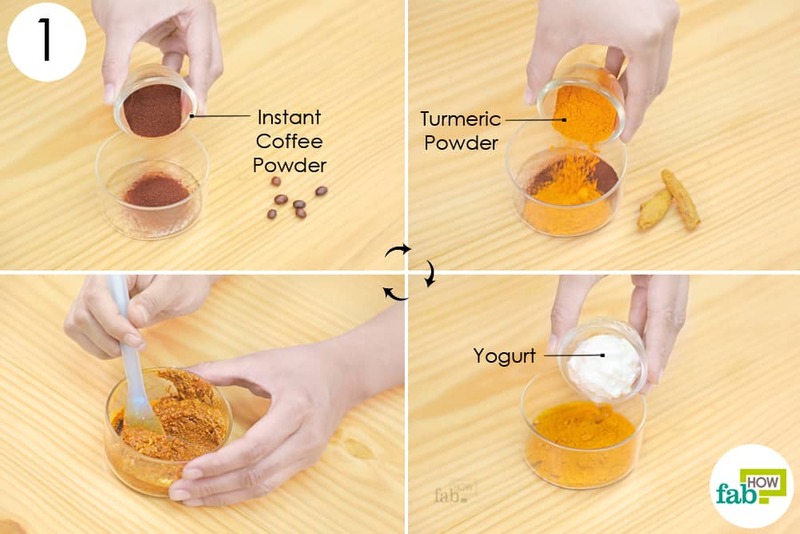 The component curcumin in turmeric reduces the production of melanin, which is responsible for your skin tone, and thus helps remove blemishes and dark spots (hyperpigmentation). Melanin is responsible for your skin tone. The less melanin in the skin, the lighter the skin tone will be. The lactic acid in yogurt helps fight bacteria clogging the skin pores and clears them out. 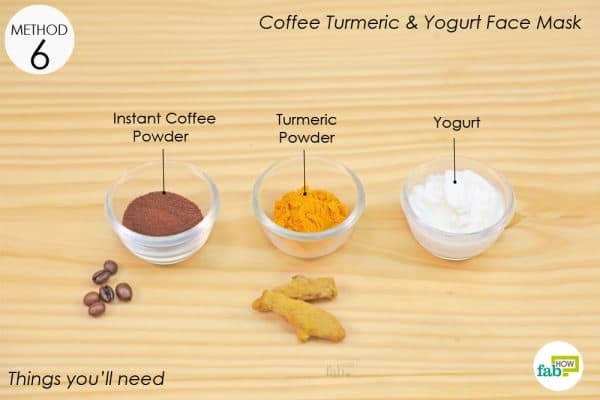 Put 1 tablespoon each of instant coffee powder and turmeric powder in a bowl. 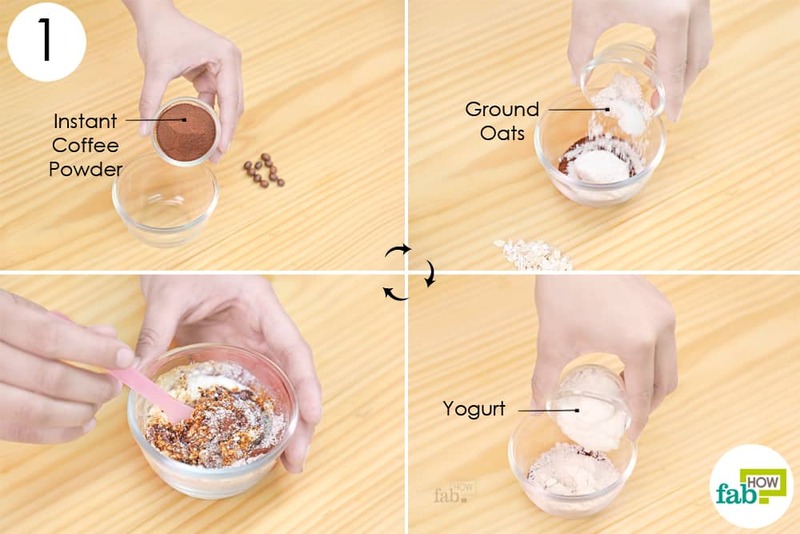 Add enough yogurt to the mix to make a thick, spreadable paste. With an applicator brush, apply the paste on your face and neck area. Leave the paste on for 20 minutes. Massage the paste gently for about 1 or 2 minutes before rinsing it off. Massaging helps to remove all the oil and dirt lodged in the skin pores. Use this paste 2 or3 times a week to enjoy brighter and more radiant skin. Egg yolk contains high concentrations of lutein, which preserves the skin’s natural moisture and provides elasticity to the skin. Lemon juice strengthens collagen which, (among many other functions), keeps the skin from sagging. 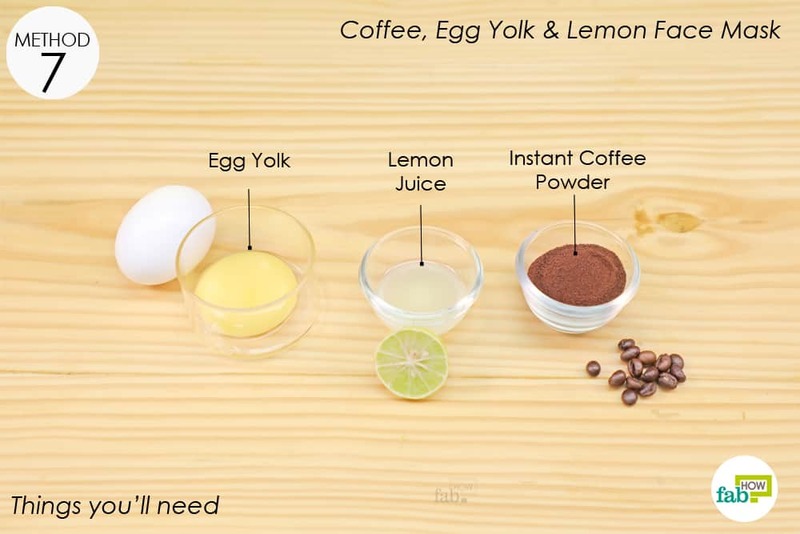 Put 1 tablespoon of instant coffee powder in a bowl and add 1 egg yolk to it. If needed, check out our tips on how to separate egg yolks from egg whites. 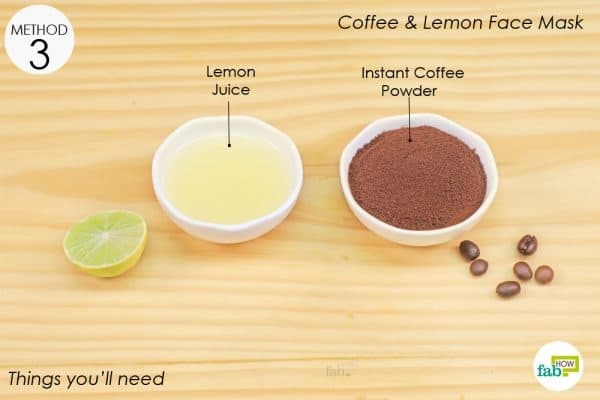 Add½ tablespoon of freshly squeezed lemon juice and blend everything well. Apply the paste all over your face and neck using an applicator brush. Gently massage it on your face for 2 minutes before rinsing it off with normal water. 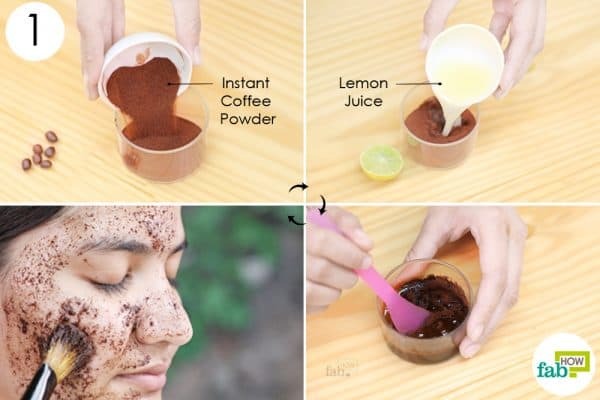 Use this face pack 2 or3 times a week to get a wrinkle-free and glowing skin. Honey is a humectant. It helps retain moisture in the skin. This DIY coffee face mask hydrates the skin and keeps it supple. Mix 1 tablespoon each of instant coffee powder and organic raw honey. Apply it on your clean face and neck. Massage for up to 2 minutes before rinsing it off. Use this face pack 2 or 3 times a week to get soft, supple and hydrated skin. The lactic acid present in yogurt helps to fight bacteria lodged in the skin pores and sloughs them off. Since it is fermented milk, it is citric in nature and thus improves the skin’s elasticity and helps strengthens the collagen. This delays signs of aging by smoothening out fine lines and wrinkles. The oats serve as an excellent exfoliant and supply essential nutrients. 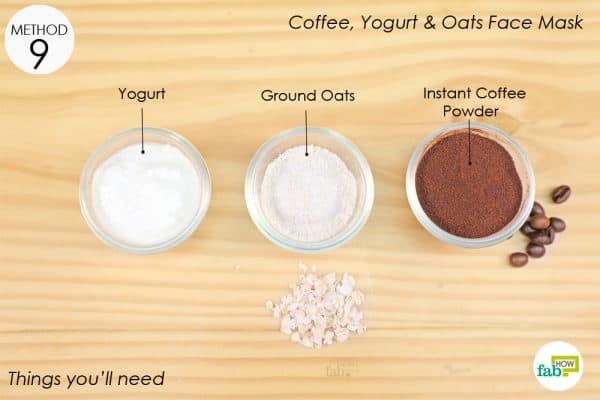 Mix 1 tablespoon each of instant coffee powder and ground oats. You can grind rolled oats in a blender to get a finely ground oatmeal powder. Add enough yogurt to make a paste. Apply this paste on your face and leave it on for 30 minutes. Rinse it off first with warm water, followed by cool water. This will close open pores. Use this face pack twice a week to get a nicely toned skin. Make sure to perform a patch test before you use any face pack, especially if you have sensitive skin. Do not use any ingredients in these face masks to which you are allergic. 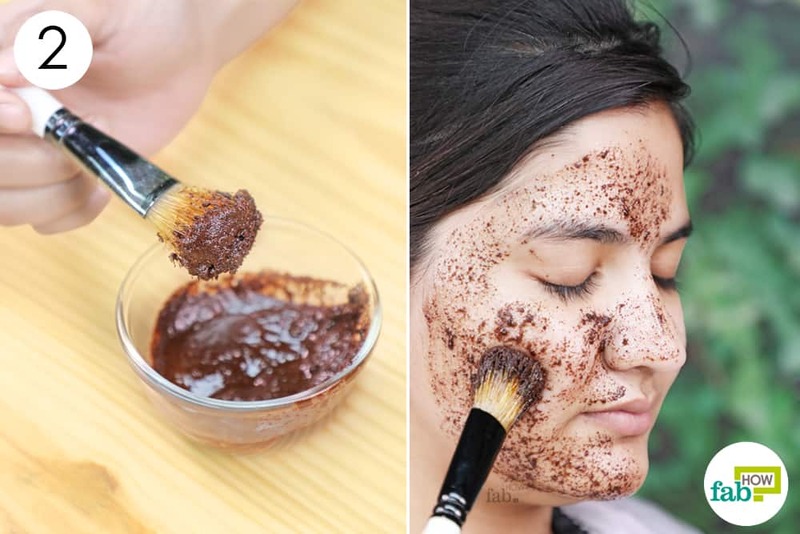 You can use ground coffee beans for scrub masks, as the granules of the coffee beans help with exfoliation of the skin. 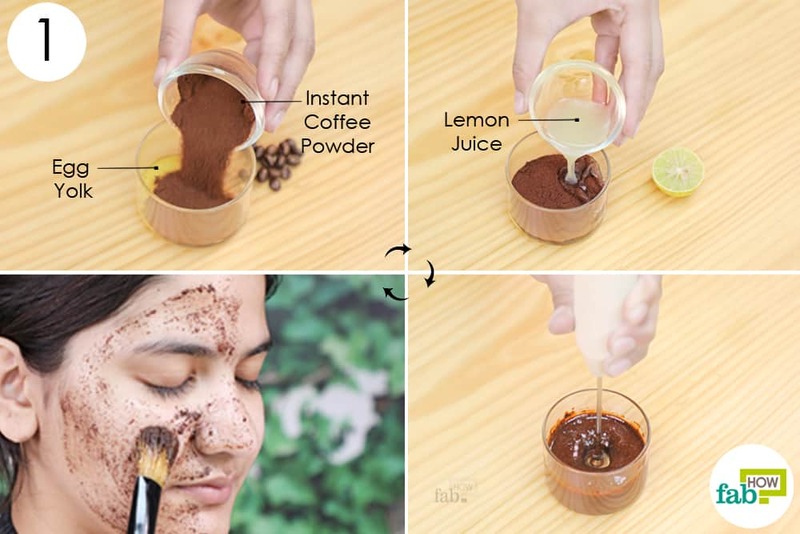 Use finely ground instant coffee powder for regular face masks because it is readily soluble in liquids and benefits absorption into the skin better. Do not go out in the sun after using face packs with lemon in them because it can promote conditions for sunburn. That is so sweet of you to say. If you want us to come up with any specific DIY or any other content, do mention that in the comment section below.